Every on-fire church and ministry in SA should be on this directory! Get Listed Now. Africa’s Premier Christian Network. By Africa. For Africa. FAITH BROADCASTING NETWORK is a family of premier Christian television channels bringing the gospel of Jesus Christ to homes on the continent of Africa and beyond. FAITH BROADCASTING NETWORK is broadcast through FaithAfrica (DSTv 341), ClearTV (Sentech free-to-air platform) and FlowTV (Sky UK 595). Since its inception in May 2002 the viewers of FaithAfrica have grown to command just over 5% of the total DStv viewership. In its effort to stay relevant to changing times and viewer demands, the channel underwent some major changes in the past five years. The effectiveness in the changes implemented was reflected in a 39% overall growth in viewership. These impressive statistics ensured that channel 341 remains the premium Christian television channel in South Africa. The name FAITH BROADCASTING NETWORK personifies its core ethos. and underscores the channels’ commitment to being a relevant voice in society. In a society that is often rocked by various political, criminal and environmental calamities, a solid faith in an unchanging God proves to be a great comfort. Faith, in essence, is a message of hope, and this message of hope is reflected in the programming offered daily on FAITH BROADCASTING NETWORK. FAITH BROADCASTING NETWORK has a loyal viewership, many of which are partners to the work that it represents, and together present a quality addition to the local broadcast offerings on the Multichoice, Sentech and Sky platforms. Israel Mosehla – a seasoned songwriter, composer, producer and artist opened his own record label/Company, Kgabo Music Productions in 2007 with a vision of helping upcoming artists by Discovering, Developing and Exposing their talents. His current album, “Endaweni Ephakeme” was released under this label. The album is currently enjoying airplay in the Radio Stations and Television, Internationally, Nationally and Locally. Singing is not his only way of serving God, He is passionate about preaching the word of God, using his singing talent to reconnect people with their Creator and have a continuous relationship with Him. Praise & Worship Encounter with Israel Mosehla: The latest production. A live recording in which you will experience the power of praise and worship. Endaweni Ephakeme: The first production that was released, marketed and distributed by Kgabo Music Productions. It consists of 12 powerful praise and worship melodies. In this project, Israel Mosehla worked with Ringo “Hugo” Mkhari. This project was inspired by the challenges that Israel was going through, songs like Holukile, Banmbelela tells it all. On this album, there are known hyms and original works like, Tsholela Ntate, Bambelela, etc. It is available from all music stores. 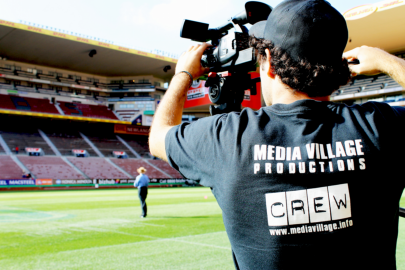 Media Village Productions is a Christian production company based in Cape Town, South Africa. 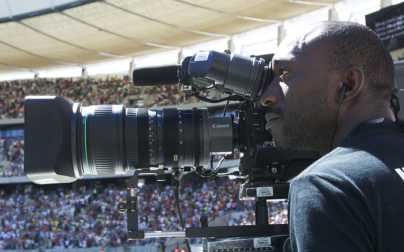 For almost 20 years Media Village has produced documentaries, adverts and transformational stories in over 30 nations. We ensure that your intended message reaches your intended audience. We are committed to creativity, ethics and technical excellence. 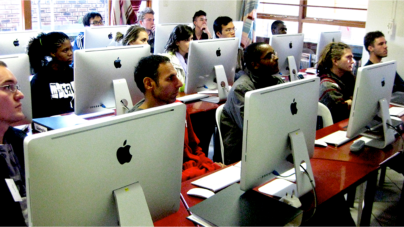 Media Village Training is a ministry of Youth With A Mission (YWAM), it is a satellite campus of the College of Communication within the University of the Nations. We are dedicated to preparing students for global leadership in all facets of communication. Our training includes new media, film and video production, photography, radio and written communication. At Media Village we are committed to discipling our students because we know that formation is as important as information. We have trained hundreds of students from over 50 nations. For more information on the schools we run view this video link, or visit our website. Where is Pastor Kurt then?I can sure do with another visit to the church sometime,Hopefully soon. Life Christian Centre, Alexandria have been connected to Oasis Family Church for many years. If you are looking for a spiritual home in PE, you can not go wrong with Pastor Kurt Sutton and his team. Straight forward, no frills, just good, encouraging bible based teaching. If anyone is needing to talk to someone about pregnancy-related loss, please email me [trained PAS lay-counselor]. I am currently available for face-to-face “counseling” in the Western Suburbs, Port Elizabeth on Saturday afternoons. Please give me your number so I can keep it with me. Do you mind if I add to my website? Cell number 073 774 5747. I hope you have a perfect day time.